On this episode, host Karl Stern takes a look back at the first three WrestleMania shows -- WrestleMania I from Madison Square Garden in New York, WrestleMania II from three locations across the country, and WrestleMania III from Pontiac, Michigan and the controversy about the attendance number. How WrestleMania I was make or break and what the pop culture world looked like in 1985, along with why that was important to the success of WrestleMania. How WrestleMania II was spread across the United States and why that didn't work, plus the best and worst matches and the NFL players in the battle royal. Why WrestleMania III was considered one of the most important cards of all time. The Ricky Steamboat vs. Randy Savage classic and Andre the Giant vs. Hulk Hogan from WrestleMania III are discussed. 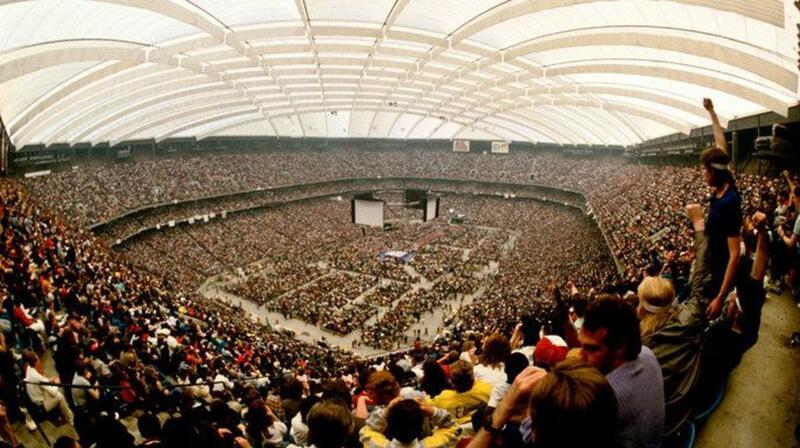 What is the real attendance number for WrestleMania III and why is everyone arguing about it? Wrestling Observer Radio 9/23: Raw report, Dave Mania III audio, tons of MMA notes, questions and more! DragonKingKarl Classic Wrestling Audio Show: DX, Andre, late 90's WWE, Superman!